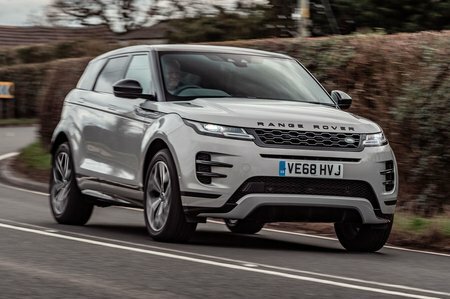 Range Rover Evoque Boot Space, Size, Seats | What Car? Being quite a substantial car, you wouldn’t expect to struggle to fit in the front of the Evoque and, sure enough, you won’t – at least not unless you’re exceptionally tall. 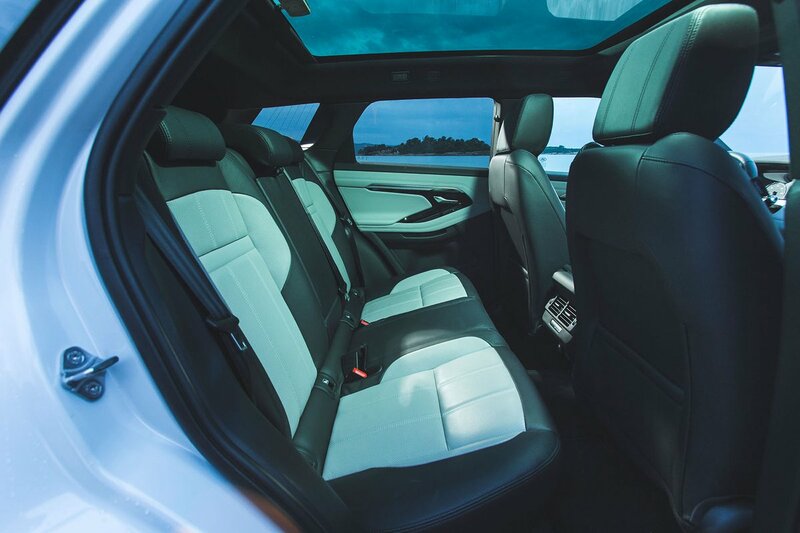 Both front seats slide a long way back on their runners, and you’d have to be close to seven feet tall to feel your hair brushing the ceiling, even if you opt for a panoramic sunroof – a feature that can often severely restrict headroom. As for storage space, there’s a reasonable amount under the central armrest, plus a couple of cupholders between the front seats. 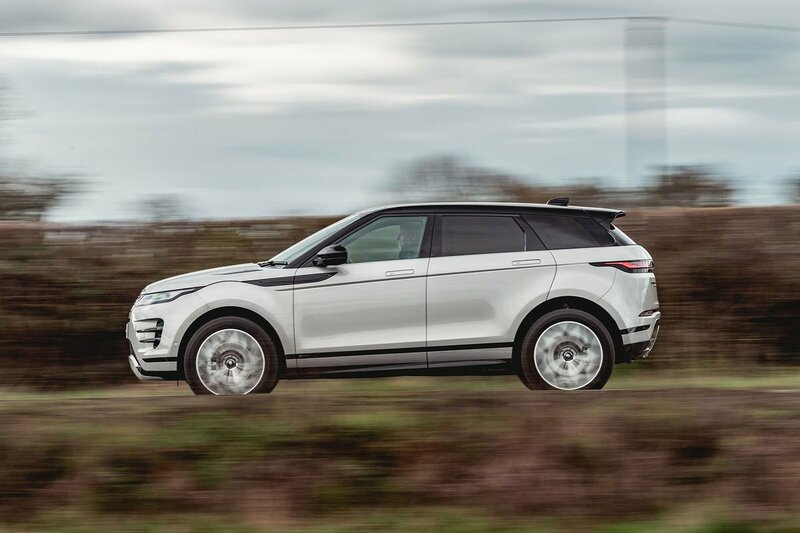 Although the Evoque is still tiny by Range Rover standards, this latest version is actually bigger in the back than its predecessor, thanks to its longer wheelbase (the distance between the front and rear axles). In fact, the Evoque is one of the roomiest family SUVs when it comes to both rear head and leg room. Its relatively broad interior should also make carrying three adults in the back less of a squeeze than it is in many rivals. The rear seats don’t do anything clever, such as slide or recline – handy features that are available on both the Audi Q3 and BMW X1. However, the rear seatbacks split in a 40:20:40 arrangement, which is better than the 60:40 split you get in the XC40 and enables great flexibility when you need to carry both rear passengers and a lengthy load. You can ignore the official capacity in litres – Land Rover measures boot space in a different way to most other manufacturers – but there’s certainly enough room for a few suitcases or a set of golf clubs. We’d estimate that the Evoque’s boot is roughly the same size as a Volvo XC40’s, although we will of course be carrying out our thorough practicality tests in due course. The 40:20:40 split rear seats fold down to leave an almost completely flat extended loadbay for use when you need to cart around more clobber.